Posted January 20, 2016 by Bailey Heard & filed under Blog, FeaturedOnHomePage. Hi there! I just had the most amazing experience I’m dying to share with you! This weekend I flew to Arizona with my mom to participate in a conference called Life Book. Going to this event together was her birthday gift to me. I had no expectations of what this experience was going to be like seeing as I’d never heard of Life Book. I was extremely excited, however, because, call me crazy, I love going to personal development conferences. I went to my first one when I was 12. I’m an avid reader and a life-long learner, so this was the best gift she could have given me. 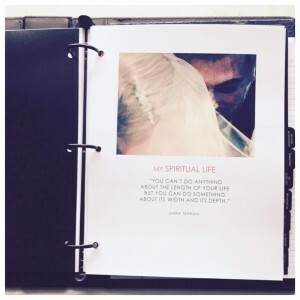 We spent time creating a Life Book on our computers, filling the pages with our beliefs, visions, purposes, and strategies in those 12 key areas of our lives. 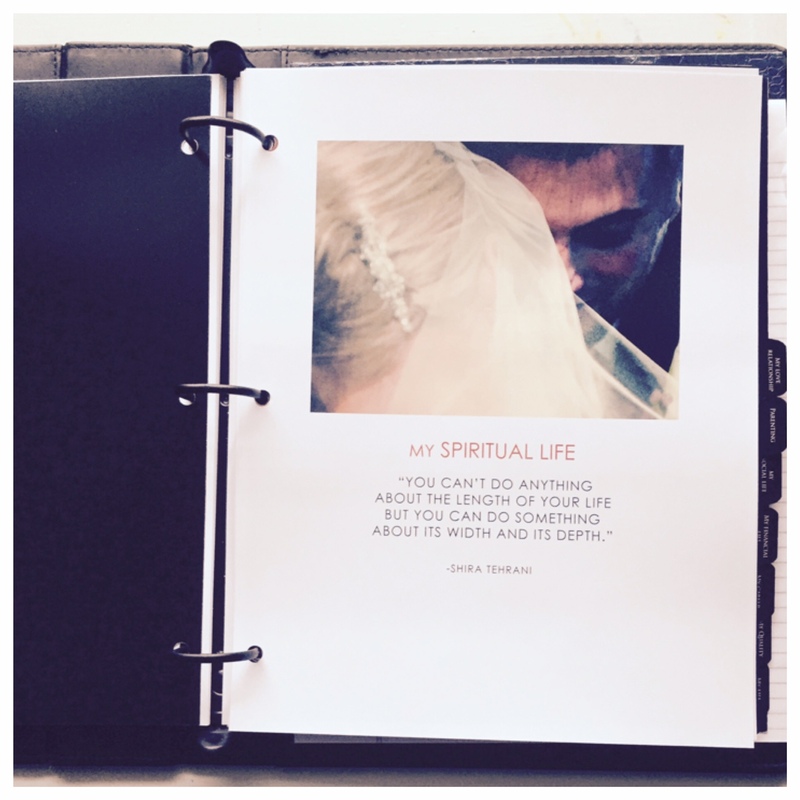 We added our personal photos to the pages, which were then printed out and resulted in our own individual Life Book. As a group, we gathered together to share our stories and discuss our ideas, thoughts, and beliefs about each section. I found so much value in actively listening to the many incredible stories, ideas, and wisdom these brilliant entrepreneurial minds possessed. They inspired me and the experience took me to a new level of thinking. Being around them felt like being at home. Suddenly, I didn’t feel like the “strange” one with the “crazy” ideas because everyone in there had crazy ideas and they were all making those crazy ideas a reality. We’re not just talking dreamers, these people are doers and world-changers. It was like finding my tribe. I made some incredible friendships I plan to cultivate. One of my goals this year was to build relationships with more entrepreneurs (which, if you remember a few posts back, aides in my New Year’s intention to feel connected), which is happening! What I took away the most from this event was being able to say my dreams out loud and unashamedly. I started getting so clear on the life I’ve always wanted to create for myself and for my daughter, and I gave myself permission to design it free from the judgments of others. So much of my adult life has felt like being on autopilot as I let life happen to me, allowing people, jobs, etc. to choose me instead of asking myself what I want. Through my late husband, Andrew’s, battle with cancer, I saw him take life by the horns as he willed himself, by the grace of God, to create the life he wanted to live during his final months on this earth. He always wanted to be a writer and a speaker because God had given him those gifts, and he wanted to use them to impact the world for the Kingdom of God. He wanted a life with little to no regrets and to know love, not fear, governed his every thought. Observing this drive in Andrew made me realize I don’t want to get to the end of my life and discover I did not reach my full potential because I was living a life I thought I was supposed to live versus the life I knew I was meant to live. So what vision do you have for your life? I would love to hear your thoughts on one thing you want to create in your life in one of the 12 areas listed above. Why is that important to you? And what is your strategy for making that vision a reality? Can’t wait to read your responses! If you want to learn more about Life Book, go to http://www.mylifebook.com/. I highly recommend it! I will leave you with a powerful quote my mom shared with the group this weekend. It’s really stuck with me. She said, “Be grateful for what you have while pursuing all that you want. “ Thank you for spending time with me today. Blessings.